Radishes are my second most favorite snack. I eat them just about every single day. Just the other day we bought a beautiful bunch of fresh radishes with the greens on them. They were stunning—a vibrant fuchsia. But I didn’t really know how to store radishes that are fresh and whole like this. Generally, when we buy radishes they are already sliced in a bag. If you buy fresh radishes as I did, prepare them for storage by cutting and washing them. Fold a large paper towel in half and place it in a Ziploc bag. Most days I prepare myself a snack plate that includes sliced radishes, walnuts, sliced cucumber, and a few wasabi peas. No, I am not a health nut. I just really love these flavors. 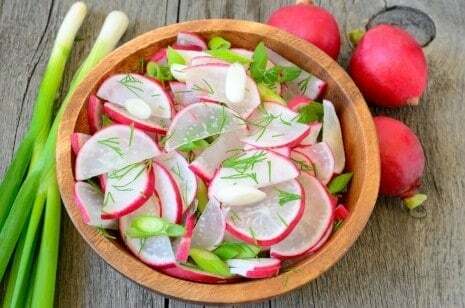 My preferred way to eat radishes is with a dash of salt and a touch of lime squeezed over them. ✅ The paring knife that I use every single day. What do radishes taste like? 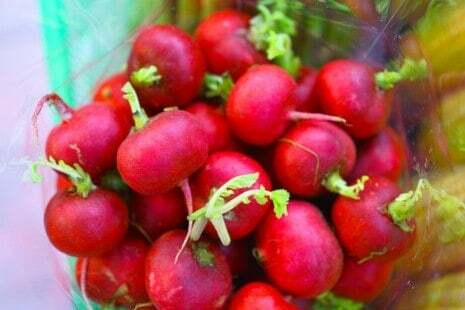 Raw radishes have a naturally peppery flavor that adds a spicy kick to them. I would relate this flavor closely to the flavor of raw garlic. The texture is a nice crunch similar to biting into a water chestnut or a raw potato. Can you eat radish greens? Yes, you can prepare and eat radish greens. 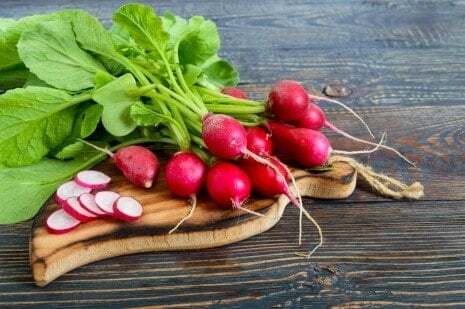 People most often prefer to cook the radish greens but they can be eaten raw. The most recommended method for eating radish greens is to saute them in a pan much like you would spinach. Quick prep: Drizzle a teaspoon of olive oil in a preheated saute pan on medium. Toss two handfuls of washed and dried radish greens into the pan, but don’t overload it. Toss lightly to coat, stir, and cook for three minutes total. Avoid overcooking so you can keep a bit of freshness. Salt to taste and serve. Makes a good accompaniment to a hearty rice bowl. 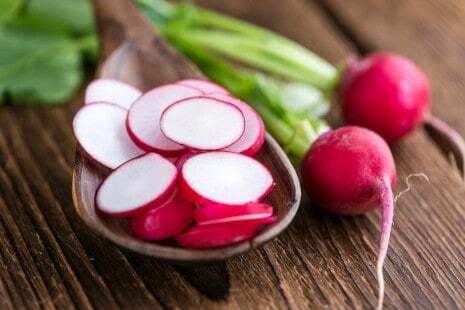 Yes, radishes are very good for you. They contain very little fat and contain quite a few vitamins. 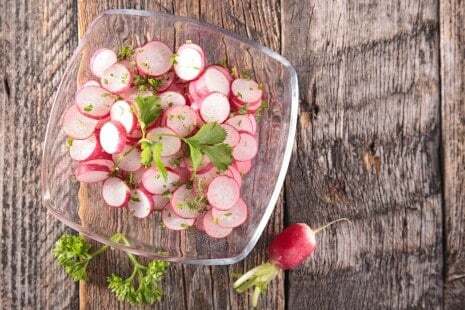 As you can read here radishes have some wonderful health values. 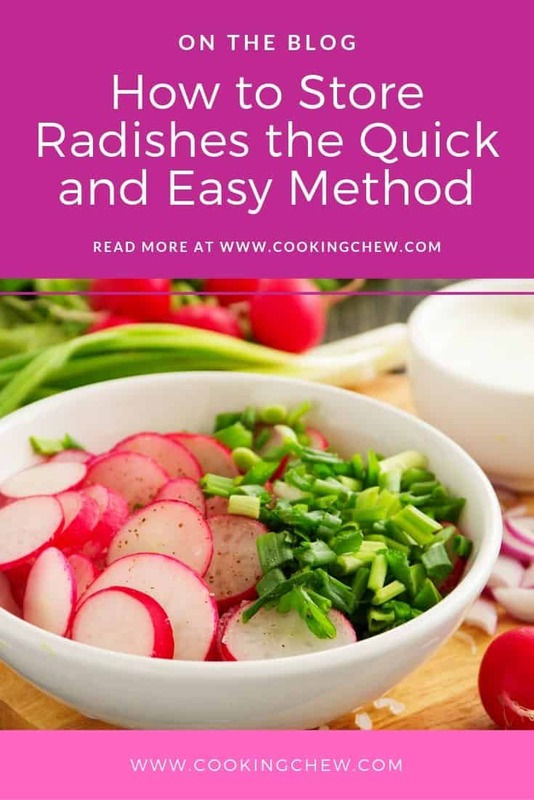 As you can probably tell, I am a huge fan of radishes and highly recommend that you give them a try. They make a wonderful addition to any salad and are lovely as a snack, are relatively inexpensive and easy to grow yourself. 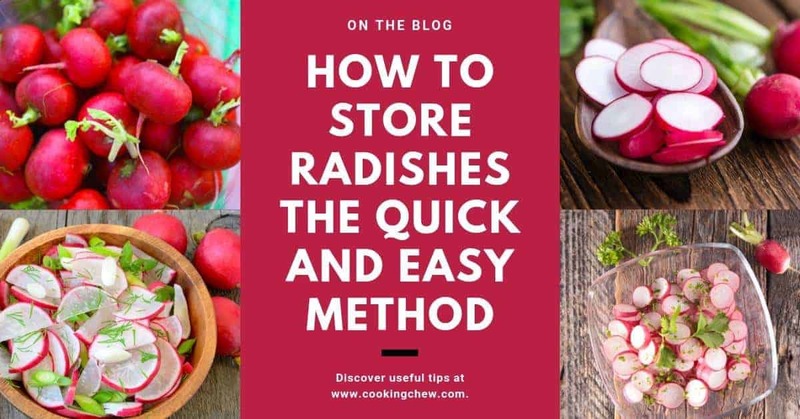 No matter if you cook your radishes or eat them raw, you now know how to store your radishes.